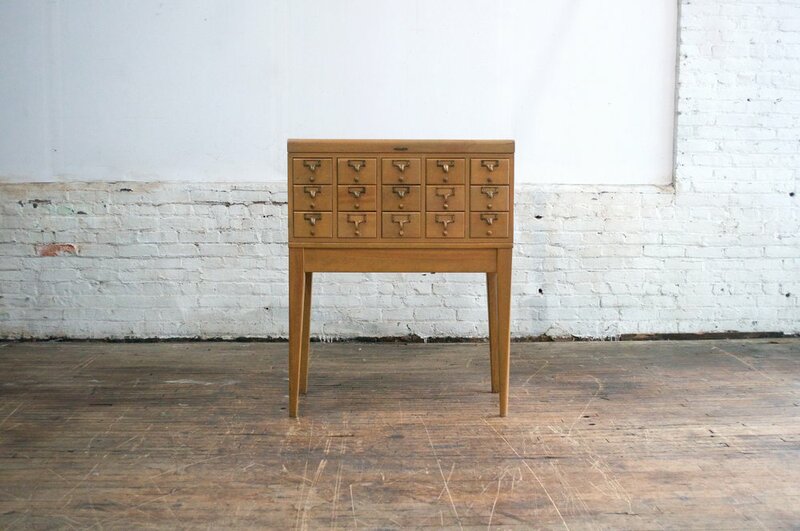 Madame Librarian is a 1950's card catalog from St. Luke's Hospital School of Nursing. It is blonde wood and can be disassembled into three parts. The drawers are perfect for stuffing with cards, flowers and favors. It also makes a great display table.